This print, which belongs to a series of twelve prints dedicated to the filial piety associated to the 12 year-marking Chinese zodiacal signs, has the sign of the Dog on it ... and 2006 is the year of the Dog! What is the link between the sign of the Dog and Shirai Gonpachi? 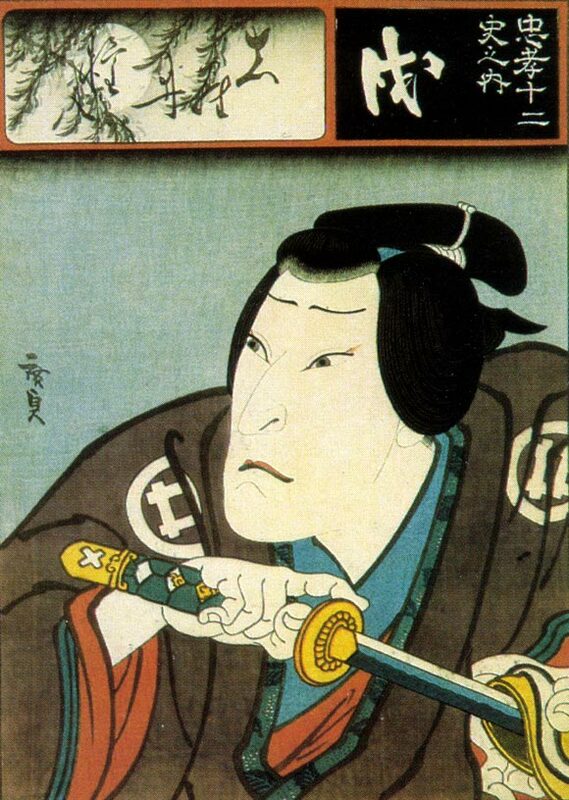 "About two hundred and thirty years ago there lived in the service of a daimyô of the province of Inaba a young man, called Shirai Gonpachi, who, when he was but sixteen years of age, had already won a name for his personal beauty and valour, and for his skill in the use of arms. Now it happened that one day a dog belonging to him fought with another dog belonging to a fellow-clansman, and the two masters, being both passionate youths, disputing as to whose dog had had the best of the fight, quarrelled and came to blows, and Gonpachi slew his adversary; and in consequence of this he was obliged to flee from his country, and make his escape to Edo."